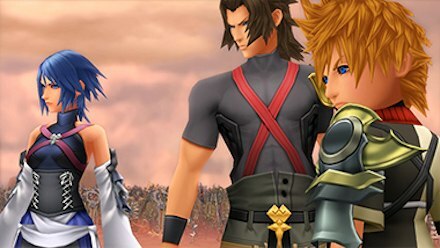 A review of the Kingdom Hearts timeline through the games in the series. Each game is listed in chronological order with a brief summary of their content. The first in the timeline. A film about the events that led to the Keyblade War, a devastating conflict which brought forth the Keyblade Graveyard. The Keyblade Graveyard is a wasteland littered with Keyblades from fallen warriors. This war bears significance to the Dark Seeker Saga, the event currently taking place in the series. *Included in Kingdom Hearts HD 2.8 for the Playstation 4 (PS4). 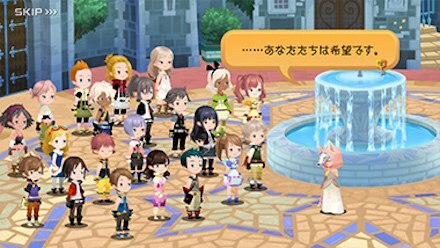 A mobile app which covers the beginning of the Keyblade War. 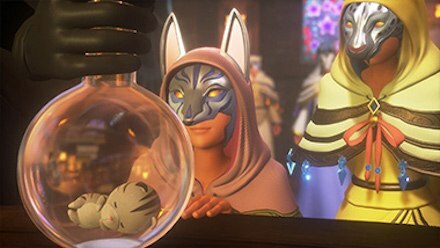 Birth By Sleep takes places ten years before the events of the first Kingdom Hearts. It follows Aqua, Terra, and Ventus as they accomplish difficult tasks in order to become Keyblade Masters. *First released for the PlayStation Portable (PSP). 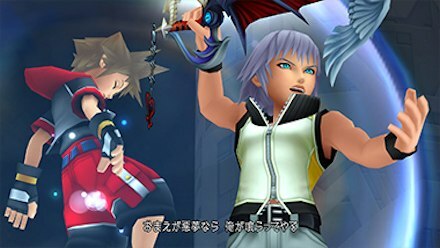 Now available in Kingdom Hearts 1.5 + 2.5 HD Remix for the PlayStation 4 (PS4). 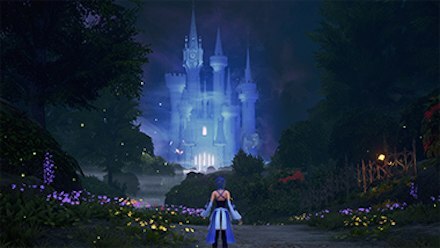 A Fragmentary Passage occurs right after Birth by Sleep and follows Aqua as she explores the Realm of Darkness. The first Kingdom Hearts follows the story of Sora as he travels various worlds in search of his friends. *First released for the PlayStation 2 (PS2). Now available in Kingdom Hearts 1.5 + 2.5 HD Remix. This game focuses on the actions of Organization XIII before the events of Kingdom Hearts II. In 358/2 Days, you play as Roxas, a Nobody who wants to know more about his true identity. *First released for the Nintendo DS. Now available as a movie in Kingdom Hearts 1.5 + 2.5 HD Remix. 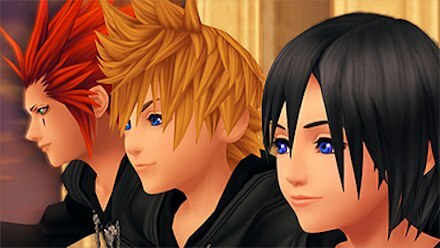 The story Chain of Memories takes place right after the first Kingdom Hearts. It follows the separate paths of Sora and Riku as they both find their way out of Castle Oblivion. In this game, players meet a mysterious girl named Namine as well as some members of Organization XIII. *First released for the Game Boy Advance (GBA), then remade for the PlayStation 2 (PS2). Now available in Kingdom Hearts 1.5 + 2.5 HD Remix. 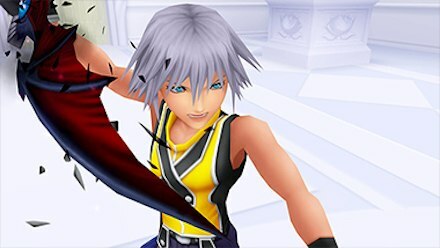 Kingdom Hearts 2’s story revolves around Sora’s battle against Organization XIII. This game also shows the relationship between Roxas and Sora. Coded is about the journal where Jiminy Cricket wrote about Sora’s adventures. This journal is said to be “corrupt” and must be fixed by Data Sora, a digital version of Sora created inside the journal. *First released for mobile phones then ported to the Nintendo DS as Re:coded. Now available as a movie in Kingdom Hearts 1.5 + 2.5 HD Remix. Kingdom Hearts 3D continues the story of Sora and Riku after the events of Kingdom Heart 2. 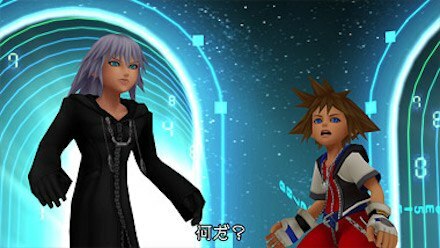 In Dream Drop Distance, they must pass the Master Approval Test and develop their powers to defeat Xehanort and his forces. *First released for the Nintendo 3DS. Now available in Kingdom Hearts 1.5 + 2.5 HD Remix. In Kingdom Hearts 3, Riku and King Mickey go out on a journey to find previous Keyblade wielders to counter the dark forces led by Master Xehanort. 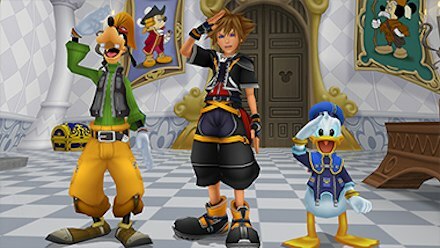 Meanwhile, Sora travels between different worlds in search of “The Key to Return Hearts” with Donald and Goofy. The official series timeline is listed above. The list below is the games’ order by release date. It is great to play the game in this order if you want to see the improvements added by the developers in each game. This will also allow players to experience the series in the same way as original fans did. 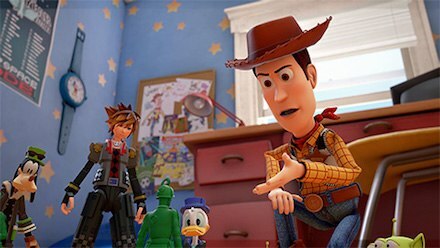 However, since the story of Kingdom Hearts can be quite complicated, if may be hard for new players to follow the story if they play it by order of release. 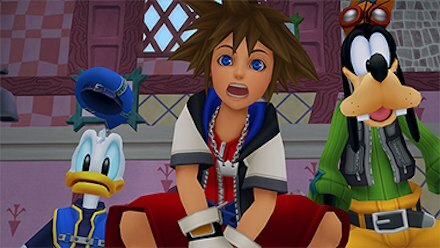 If you are new to the series, then you can play all the essential titles on the PS4 by purchasing Kingdom Hearts 1.5 + 2.5 and Kingdom Hearts 2.8. There is also a collection which includes both 1.5 + 2.5 and 2.8 called The Story So Far. Before playing Kingdom Hearts 3, make sure that you play the games on these collections first.